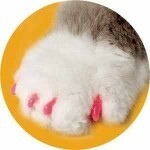 Bath Package *Short hair (declawed) ~ bath, ears cleaned,, back nails cut, fluff dry, brush ~ out, and for a finishing touch a spritz of all natural ~ soothing – moisturizing – kitty freshener. 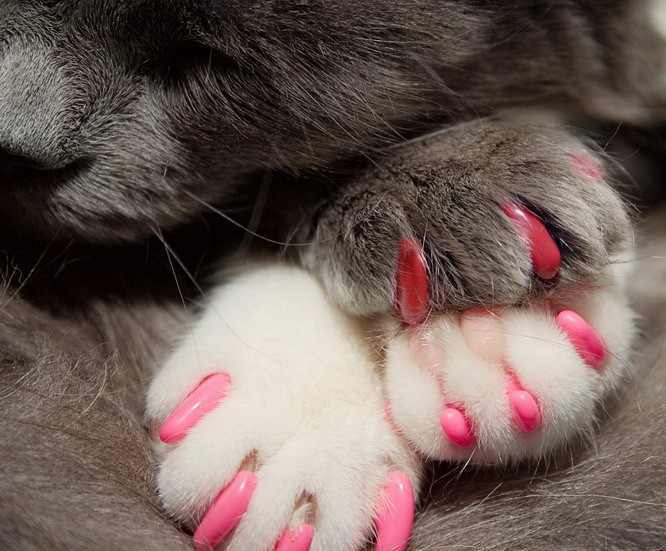 *Long hair (declawed) ~bath, ears cleaned, back nails cut, fluff dry, brush~out and for a finishing touch a spritz of all natural ~ soothing ~ moisturizing ~ kitty freshener. *Hygiene/Sanitary Clip Package (declawed) ~ (this involves “shelling out” the fur from the armpits, lower chest, under belly to under the tail (private areas) and a little ways down the inside of back legs), (goal is to not be seen when looking at the cat). Bath, ears cleaned, back nails cut, fluff dry, brush~out, and for a finishing touch a spritz of all natural ~ soothing ~ moisturizing ~ kitty freshener. *Lion Clip Package (declawed) ~groom (full mane, pom pom, on tip of tail, and “trouser” look on legs) bath, ears cleaned, nails cut, fluff dry, brush out, and for a finishing touch a spritz of all natural ~ soothing ~ moisturizing ~ kitty freshener. *Sunflower Clip Package (declawed) ~ groom, (smaller mane than lion clip, pom pom on tip of tail, “trouser” look on legs), bath, ears cleaned, nails cut, fluff dry, brush out, and for a finishing touch a spritz of all natural ~ soothing ~ moisturizing ~ kitty freshener. *Summer Clip Package (declawed) ~groom (no mane, pom pom on tip of tail, “trouser” look on legs), bath, ears cleaned, nails cut, fluff dry, brush out, and for a finishing touch a spritz of all natural ~ soothing ~ moisturizing ~ kitty freshener. Call (239) 434-2287 for pricing or click HERE today to schedule an appointment for your pet! 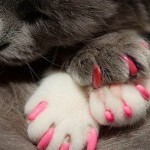 What are Soft Claws®? 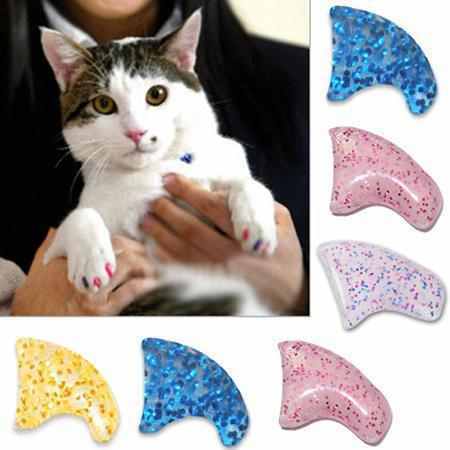 Developed by a veterinarian, Soft Claws® are vinyl nail caps that glue on to your cat’s nails. This amazing product effectively blunts your cat’s nails to protect against problem scratching. Each package of Soft Claws contains 40 nail caps, 2 tubes of adhesive, applicator tips and easy to follow instructions. 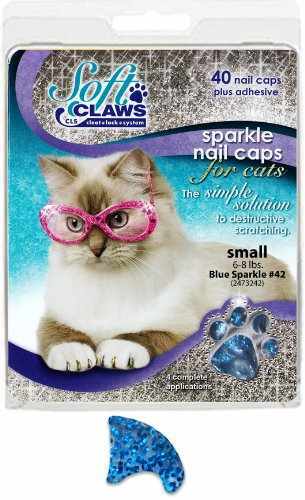 One package contains enough nail caps for 4 applications on Kitty’s front paws. Each application lasts approximately 4-6 weeks so one package lasts about 4-6 months.